The 580 bus service operated by McGill's now runs via Inverclyde Royal Hospital every 45 minutes during Monday to Friday daytimes. 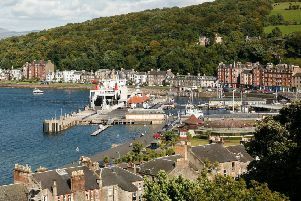 Links between Inverclyde Royal Hospital and the Wemyss Bay ferry terminal have been improved as a result of timetable changes by local operator McGill’s Bus Service. The company’s number 580 service between Greenock and Upper Skelmorlie, operating through Wemyss Bay every 45 minutes, now diverts via the IRH between 9am and 5pm, Monday to Friday - though there is no service on Saturdays or Sundays.